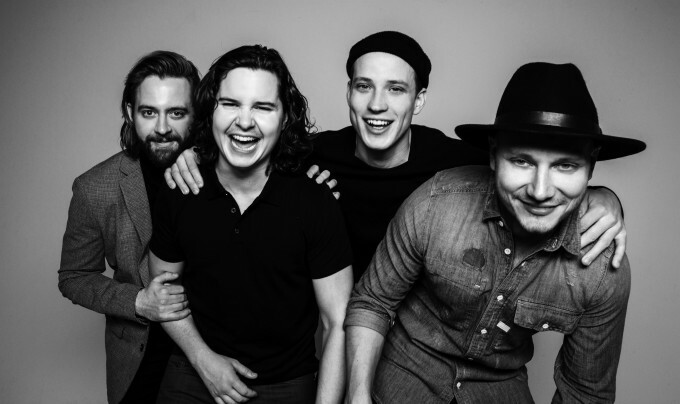 Danish outfit Lukas Graham will play live shows in Australia in the middle of August. Though the band (which is named after its lead singer) remained largely unknown before this year, they burst onto the scene with their mammoth No.1 smash ‘7 Years’, which saw them conquer charts not only across the planet, but also here in Australia, where it remained in the top spot for eight consecutive weeks. It remains in the ARIA top 20 this week after 15 weeks and is certified double platinum (140,000 copies). Their debut international album ‘Lukas Graham’ also hit No.1 here and remains in the top 50 after seven weeks. We even chatted to Lukas himself about the release – HERE. But back to those shows… It’s only Sydney and Melbourne that will have the chance to see the band live, with dates confirmed at Max Watt’s in Melbourne and the Metro Theatre in Sydney. Xavier Dunn will support at both. A Frontier member’s pre-sale kicks off on Wednesday prior to general public tickets going on sale from noon local time on Friday May 27.